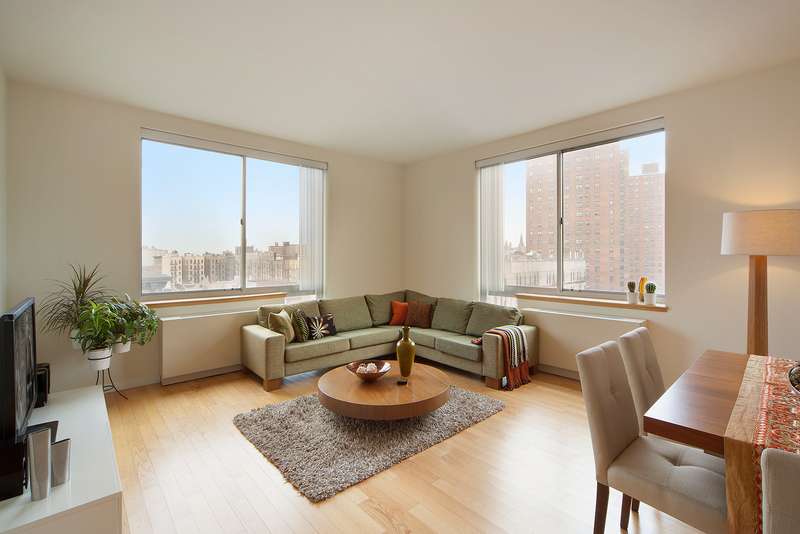 Maximize value by making your home apartment 7H in the Langston Condominium. Eastern and southern exposures provide sunlight throughout the day and skyline views to the Empire State Building. There is excellent closet space throughout with a walk-in for the master, a pantry for the kitchen and a linen closet. Apartment features include 9-foot ceilings; through-wall AC/heat; oversize double-paned windows providing great light and excellent sound attenuation; stainless steel GE kitchen appliances; an LG washer/dryer combination; video intercom; and two full baths including Crema Pearl Italian Marble in the en-suite master.